Logan and Christian are making rounds around the blogosphere with the release of the final book in their trilogy All They Ever Needed. Come check out their visits – and read some fun and HOT snippets. Kathryn R. Blake – A great DD discussion between Christian and Gregory, Logan’s father. Kate Richards – How could the boys not have fun at a blog titled Batteries Not included? Welcome to the The Book Blog Tour page. Here I will list my older book blog tours. Greetings from Corbin’s Bend! 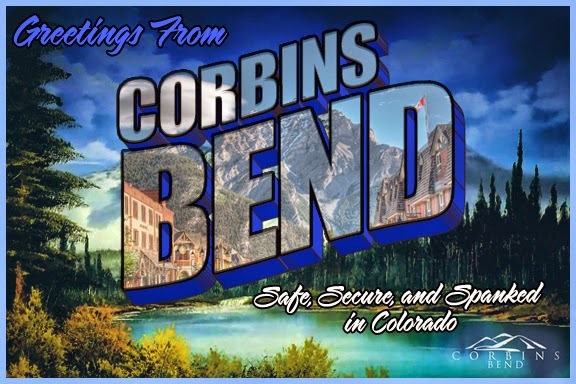 On July 18, 19, & 20th, you will have the opportunity to meet residents of this amazing community, read blog posts by their authors, and truly get to know Corbin’s Bend. Are you ready? Dec 25 – It’s Christmas, ya know!